The Institute for Philosophy and Social Theory in Belgrade is now accepting submissions for their December, 2014 conference. The deadline for submissions is September 15, 2014. Read the full CFP below, reproduced from Foucault News. June 25, 2014 marks the 30th anniversary of the passing of Michel Foucault. 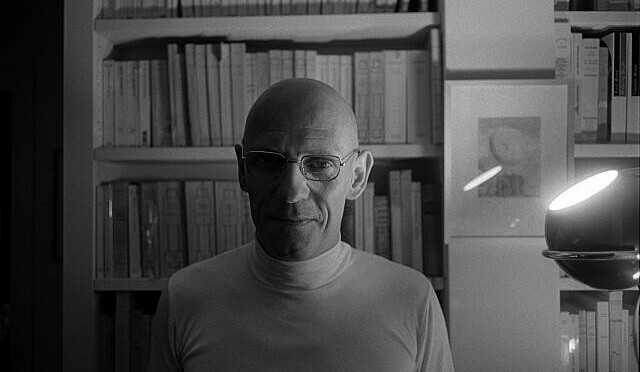 During his lifetime, Foucault was, in his own words, described as an anarchist and a leftist; a covert Marxist or an explicit or covert anti-Marxist; a nihilist, a technocrat in the service of Gaullism, and a neoliberal. In addition, Foucault can also be described as an intellectual who cannot be aligned or positioned within the existing matrices of thought and action, especially when defined ideologically. How should one understand the societal and political implications of Foucault’s work? These dilemmas remain very much unresolved today. The conference “Engaging Foucault” will gather international and regional theorists who have engaged with Foucault’s work, either endorsing or disputing the main premises of his work. The intended aim of the conference is to open up space for a general discussion of the actuality of Foucault’s work. Bearing in mind the specific political economy of truth and power, about which Foucault wrote extensively, we intend to examine the changes in scientific and theoretical discourses, as well as the institutions that produce these changes. In what ways is this production economically and politically initiated, expanded and consumed? What is the form of control and dissemination of certain regimes of truth through reforms and old and new ideological struggles around them? Taking as our point of departure Foucault’s statement that the role of the intellectual is not merely to criticize ideological contents supposedly linked to science, or furnish him/herself with the most appropriate ideology, we want to incite a debate on the possibilities of “constituting new politics of truth”, advocated by Foucault. Thus, central to this conference would be the investigation into the possibilities for (re-)articulating public engagement today: how to change political, economic, social and institutional regimes of production of truths? The debate should, in that sense, critically examine the meanings of emancipatory practices, social movements, contemporary forms of innovative action and engaged theory through the Foucauldian optic of bio-politics and ’thanato-politics’, sexuality and (non)identity, resistance, ’counter-power’, ’techniques of the self’ and the genealogies of societally engaged practices (e.g. insurrectionary knowledge and action). In light of the uprisings that have in recent years spread across the globe and are characterized by a variety of causes and consequences, this conference should critically reflect on the meaning of ’engagement’ – what is public engagement, who can be called ’engaged’ and in what sense, what are the effects of engaged thought and action – in the spirit of Foucault’s cues. Conference applications should be sent only via e-mail to the following address: conference@instifdt.bg.ac.rs. We kindly ask you to put in your email subject the following title: ’Application: title of the paper’. The complete application in the .doc, .docx or .pdf format must contain: the title of the presentation, abstract of up to 250 words, key words in the presenter’s mother tongue – BHS or English – and a short biography. The Program Committee of the conference will select the presenters based on the submitted abstracts. The book of abstracts will be published by the time of the conference, and a collection of conference papers will be published in 2015. The papers submitted for the collection should be in BHS or English (between 5000 and 7000 words). There will be no registration fees. Conference organisers will provide lunch and beverage refreshments during the conference program. Participants are kindly requested to make their own accommodation and travel arrangements. The conference is organized by the Group for the Study of Public Engagement, part of the Institute for Philosophy and Social Theory in Belgrade, with the support of the Serbian Ministry of Education, Science and Technological Development.